Since 1990, the urban population of Africa has doubled, with more than 80% of its denizens living in urban areas. Urbanization can contribute to sustainable growth, if managed well. However, its speed and scale bring challenges, including meeting accelerated demand for affordable housing, transport systems, infrastructure, basic services and jobs. Population data such as shown above is only a sample of the geospatial data available in Esri’s new Africa GeoPortal (www.africageoportal.com). The Esri-led initiative is a cloud-based platform that provides and receives geographic data and imagery from Esri and its partners. The African Union, African Development Bank, other international agencies, nongovernmental organizations, academia, businesses and national government funds will be able to use the geoportal to address the most urgent development challenges facing the continent — including economic development, climate adaptation, conservation and health care. The complimentary software-as-a-service geoportal is offered to anyone supporting African nations for positive economic, social and environmental outcomes — African citizens, NGOs and international development agencies. The geoportal offers access to spatial analytics capabilities and authoritative content for charting compelling, educational, informational, entertaining and beautiful maps of Africa. 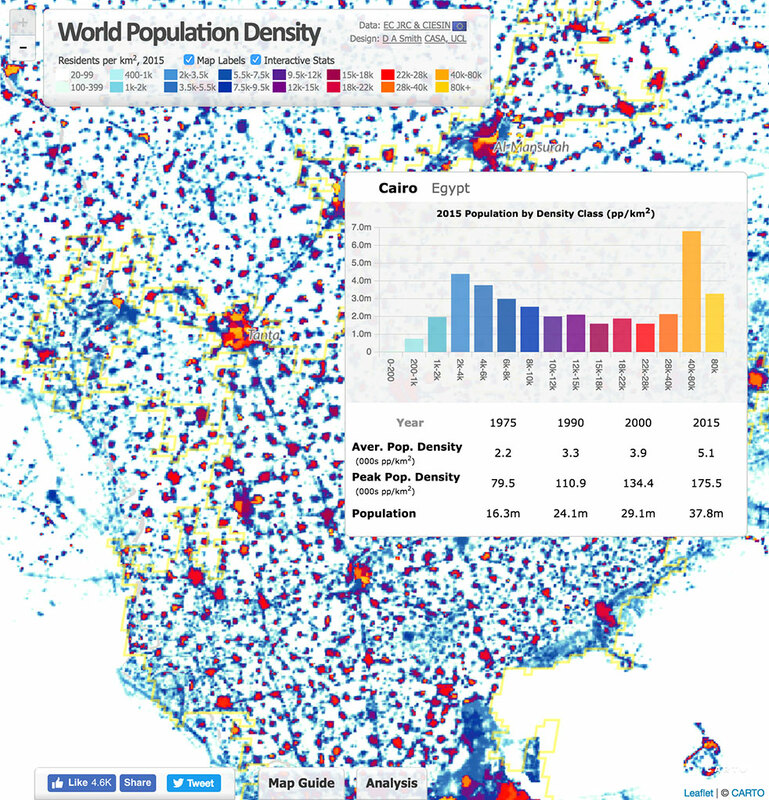 The Global Human Settlement Layer from the European Commission’s Joint Research Centre (JRC) is a complete, consistent, global, free and open dataset on human settlements, and helps to quantify and understand the issues that drive urbanization. The above example comes from the JRC in its Esri story map “Building Knowledge for Sustainable Development in Africa,” which shows how the JRC contributes to the African Union (AU)-European Union (EU) partnership.